In need of a new bumper, diffuser and maybe exhaust tip. Where’s the best place to get these parts from or is it the main stealers? Just weighing up claiming on the Mrs’ insurance or trying to handle privately. Bumper I’m not sure? Have you searched eBay for any breaking? MAFFA wrote: Ah man wtf?? 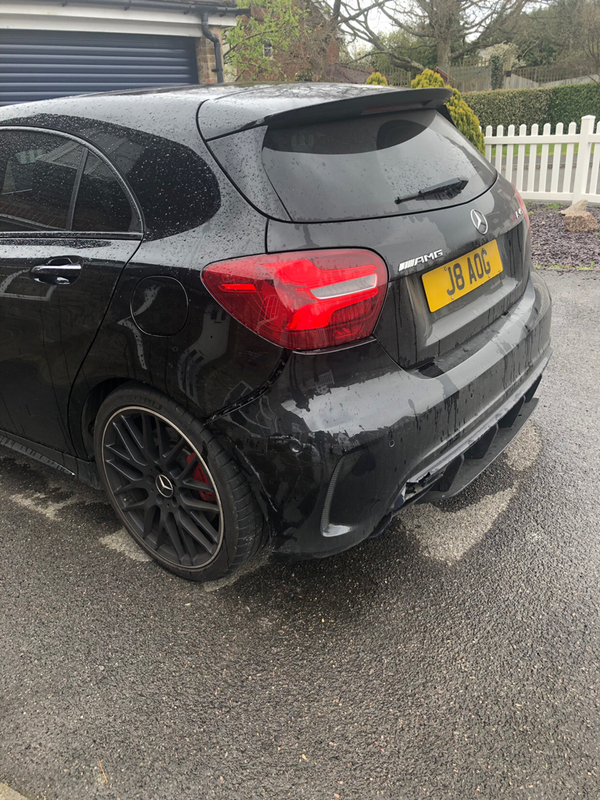 Good news is that I had Washington Coachworks have a look and they reckon the bumper is salvageable. Won’t know for sure til they remove it and have a better look but will keep my eyes peeled for one. Hopefully they can sort it. You coming over for the breakfast meet on Sunday? I’d love to but the car is a sorry site and it’s the Members Meeting!